CHENNAI: The Robert Bosch Centre for Data Science and Artificial Intelligence (RBC-DSAI) at Indian Institute of Technology Madras is collaborating with the Tamil Nadu e-Governance Agency for enhancing data driven governance in the State. This will be carried out by working closely with various official branches and entities within the government of Tamil Nadu. These collaborations are expected to contribute towards various aspects of governance, including but not limited to, education, healthcare, and agriculture. Mr. Santhosh K. Misra I.A.S, Chief Executive Officer, Tamil Nadu e-Governance Agency, and Prof Ravindra Gettu, Dean (Industrial Consultancy and Sponsored Research), IIT Madras, signed the MoU on behalf of their respective institutions. 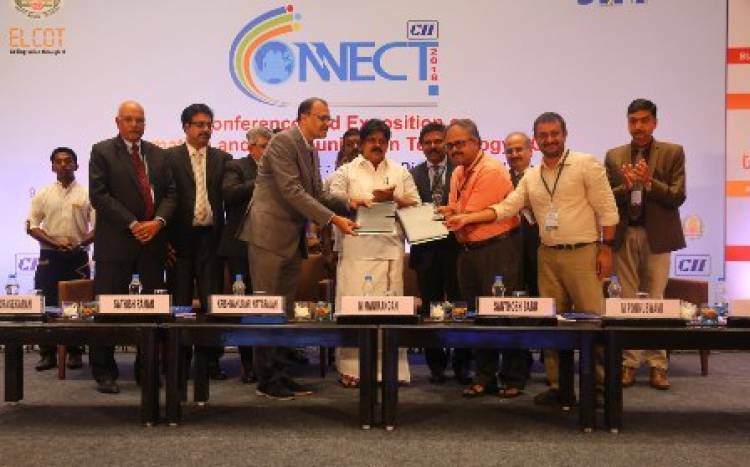 The MoU was exchanged at a function held in Chennai today (9th October 2018) in presence of Minister of Information Technology Mr Manikandan and Secretary of IT Mr Santhosh Babu. * Work towards creation of registered entities, potentially in collaboration with external IT vendors, to carry forward projects at a larger scale. IIT Madras has agreed to work with TNeGA on the above broader scope and provide complete support to TNeGA. IIT Madras established the Robert Bosch Centre for Data Science and Artificial Intelligence (RBC-DSAI) to create societal impact through multidisciplinary interactions with government, academic, research and industrial collaborators on core challenges in Data Science (DS) and Artificial Intelligence (AI). It seeks to undertake foundational research in many areas of AI and Data Science, namely, deep learning, reinforcement learning, network analytics, interpretable machine learning, and domain aware AI.